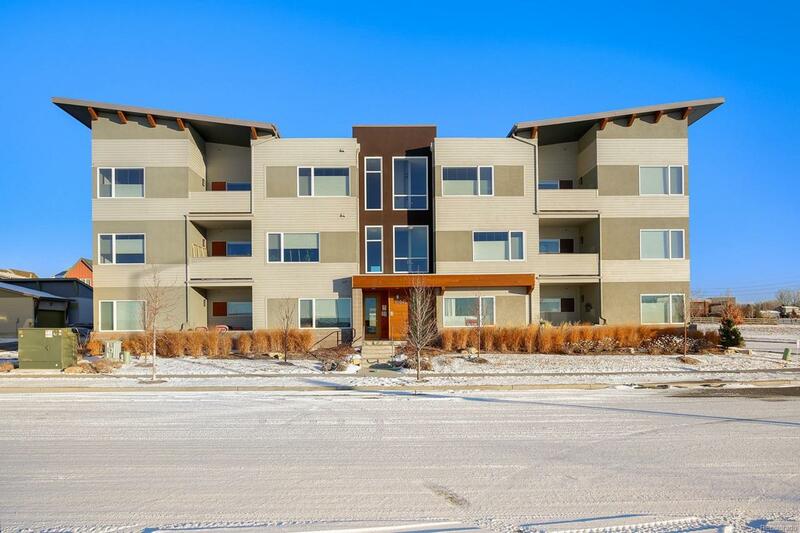 Gorgeous, contemporary top floor corner unit condo with mountain views loaded with premium upgrades. Enter into a fantastic open floor plan with soaring ceilings, abundant light and warm hardwood floors throughout main living area. Enjoy the premium chef's kitchen with stainless steel appliances, granite countertops, 42'' maple cabinets, custom glass tile backsplash, and breakfast bar. Enjoy your morning coffee on your patio/deck just off the living room with incredible mountain views. The spacious and master suite is equally filled with light from large windows that continue the incredible views. Master ensuite- includes modern dual vanity and walk-in shower with upgraded glass tile surround. Your new home includes a single-car detached garage, guest parking and secure front entry with elevator access. Nearby trail access, footpaths, open space, walk-to shops and services, minutes away from downtown Louisville, Lafayette, & Boulder.